I just completed this fun custom order. The customer wanted a blanket for her little boy for a road trip. His favorite team is the Arkansas Razorbacks. 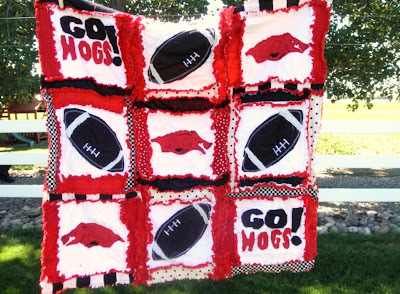 I hope he loves this football blanket as much as I enjoyed creating it for him. GO HOGS! 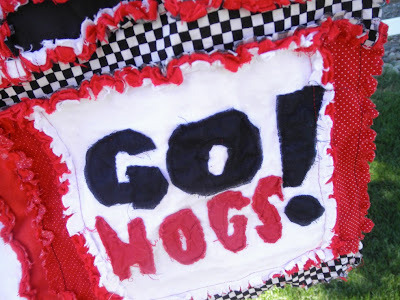 Can someone explain to me Woo Pig Sooie? 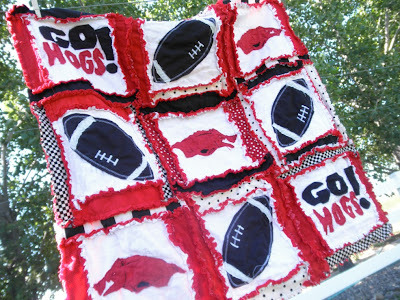 This blanket is for my little guys who is a die hard Razorback fan (and also loves blankets!)! I gave her very little direction and she came up with this amazing blanket - it looks absoluitely amazing!! She sent us pictures as the blanket was being made. My little guy wanted to see every stage! And now he just cannot wait to see it finished and by looking at the picture, he will be just thrilled! It will be a terrific comfort lovey for the airplane ride (I should also mention that I ordered this less than a week ago and she finsihed it and had it in the mail, in order for him to have it in time for our plane ride - hard to believe with all the detail in this blanket that she could even make that happen!)" Thanks so much you are definitely a sweet heart! i love it! Someday I'll have to commission a WI one. Awesome blog! New follower from MBC! O0o0o0o! You have so inspired me to try to make a rag quilt. I love how yours turned out. I just got an embroidery machine so I am thinking maybe embroider some squares, applique some. Oh I am so excited to try this now. Thanks! How fun! I love seeing what everybody is working on! Happy Friday to you! That is such a fun blanket. Would that I had more time and talent. It's certainly fun to see that others do. 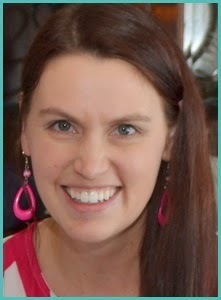 I am here from blogfrog Mom Loop comment follow. So cute! I love how adorable this turned out! Thanks for linking up to Hoo's got talent!